Why Employ an Endocrinology Fellowship Personal Statement Writing Service? The selection process for a medical fellowship program involves strong competition, particularly so in endocrinology. 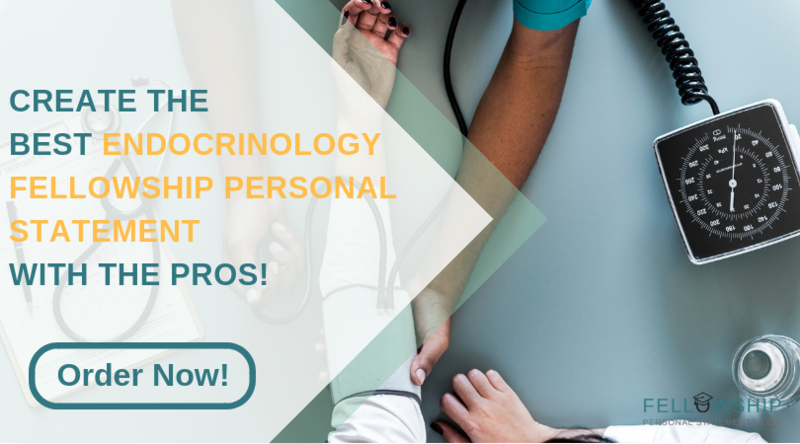 This decade is expected to see a 25% increase in the number of practicing endocrinologists with competition for fellowship places growing steadily, particularly for recognized hospitals and schools. Hence your medical fellowship personal statement when making an application is crucial. It should make you stand out from others and ensure you are invited for an interview. It must read well from start to finish, contain absolutely no grammatical errors, shows the reader why endocrinology is your desired specialty, and promote you as an outstanding candidate for the position. To meet these very high demands many people will choose our writing service. Why you want a fellowship in endocrinology? The board must be convinced of your desire to specialize in this field or a particular subfield such as diabetes or osteoporosis. How you intend to progress in the future? Whether as a practicing endocrinologist or doing clinical research, you should indicate your career plans. A fellowship in endocrinology requires general medical practice in addition to specialty studies. Your statement should reflect your training in general medicine but make your skills which are applicable to endocrinology more visible. These skills should be tailored to the fellowship program as applicable. 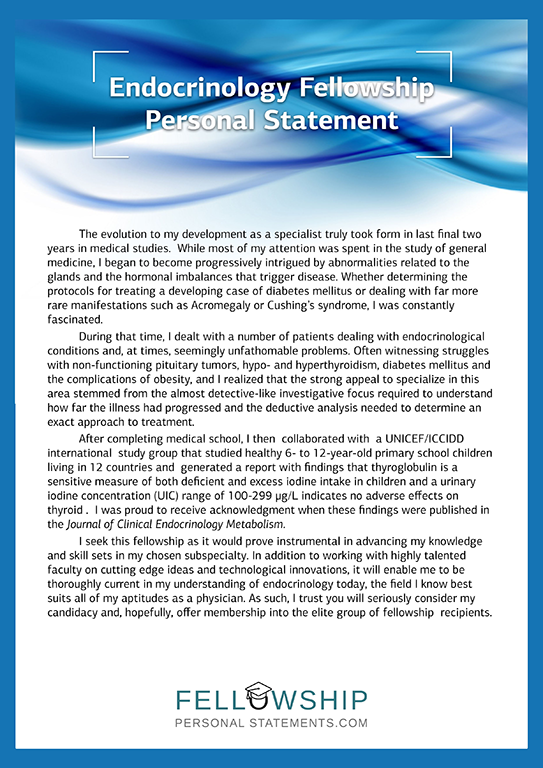 Why choose us to write your endocrine fellowship personal statement? 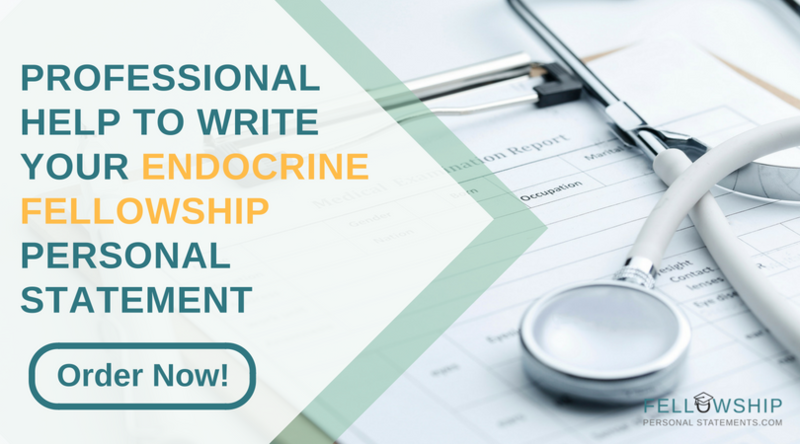 Your assigned writer will be familiar with writing personal statements for a fellowship in endocrinology. All our writers are native English speakers, educated to postgraduate level in subjects relevant to your application, and know how to present your personal details and ambitions in an original and engaging document. “Growing up it was assumed that I would become a doctor, attorney or engineer. I come from a blue-collar background and for as long as I remember, my father would state this whenever the topic of a future career cropped up. “I work with my hands, but not my kid. My kids going to be a doctor or a lawyer” then he would pause. “Maybe an engineer.” He was never sure if engineers rated the respect that doctors or lawyers did. I was a good student and despite the thousands of times I heard him trot out his line at family gatherings never felt pushed into a field I didn’t want. As I got older, my interests and aptitudes pointed towards medicine and that became my focus. Once my decision was made, lawyers and engineers were dropped from the speech and Dad didn’t have to think about where engineers should be placed in the career status hierarchy. I chose to complete my residency in Internal medicine. The variety of types of cases it offers appealed to me as does the challenge of diagnosing a problem. Early in my residency training, my mother was diagnosed with diabetes. She has a good doctor and little difficulty managing to get it under control. In order to explain the diagnoses and treatment to my father, I did some research on my own and developed an interest in endocrinology as a result. I was fortunate enough to be able to participate in a diabetes research program under Dr. J. Jones and recently. A paper I wrote on diabetes prevention was recently published in the National Medical Magazine. My involvement in the research has only whetted my appetite to delve more deeply into the subject. To ensure you are satisfied with our writing service we follow certain procedures. Your first personal statement for residency will be delivered by the deadline which you set. It is always proofread and guaranteed to be original. Plagiarism is a recognized problem in education and accordingly, we only issue unique personal statements. For an improved chance of acceptance just contact our experts here today to write your endocrinology fellowship personal statement!